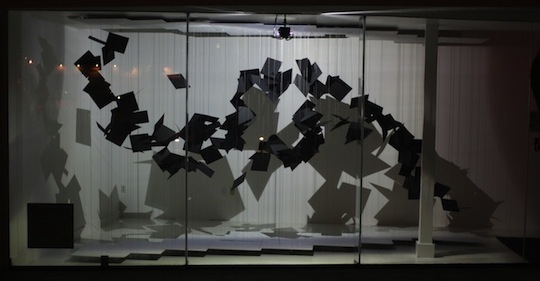 Transect Cascade is a sculpture by Nicole Aptekar, commissioned for the 2012 ZERO1 Biennial in San Jose. 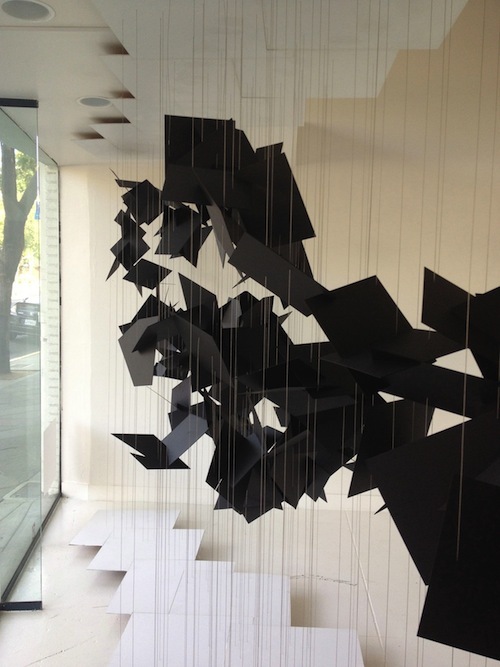 Transect Cascade is a sinewy volume of scattered intersecting black surfaces, frozen in time, held unnaturally in space by a grid of stainless steel aircraft cable. A single, contrasting shape is transected through this volume, revealing itself fully only when the piece is viewed from a specific angle. 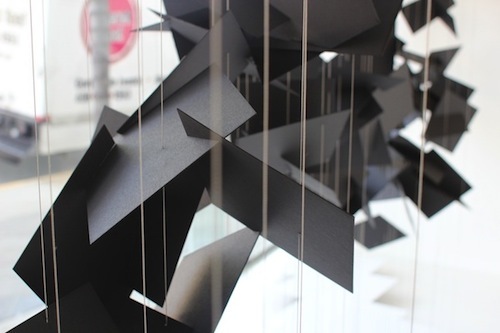 Cutting edge CAD and digital fabrication techniques allow for complexity to emerge from simple shapes, movement and grace to reveal themselves in the chaos, computational ideals manifest in tangible reality. For this project, I helped devise the hanging and assembly strategy and assisted with programming, fabrication, installation, and general problem-solving.